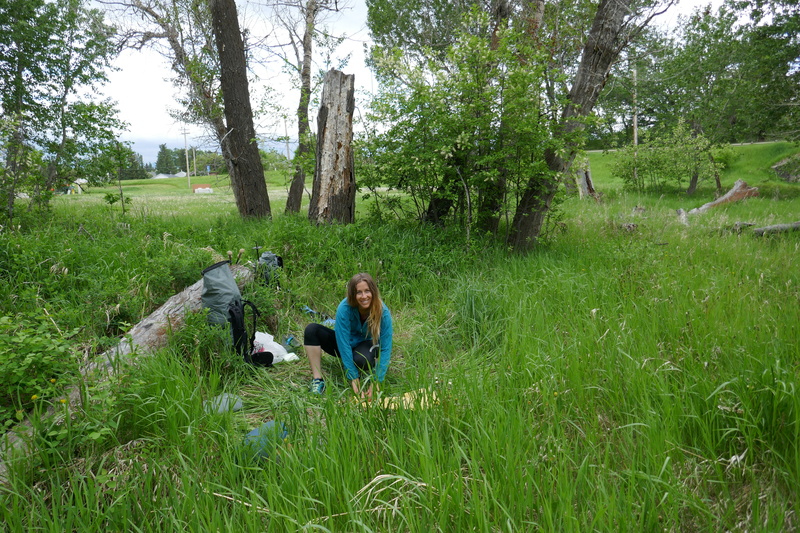 It’s May 31st- the day before we hit the trail, and we awake from our van Tic Tac in a trailhead parking lot in Field BC. 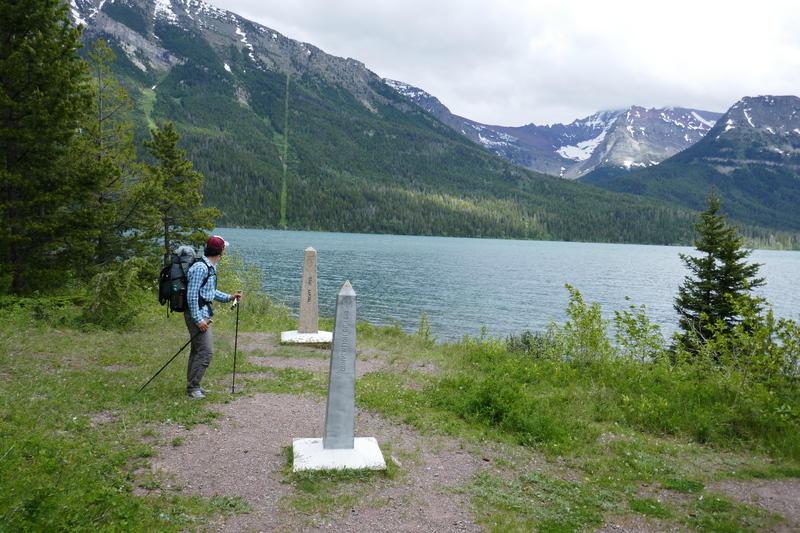 Today we begin the onerous task of simply getting to the Great Divide Trail’s beginning in Waterton Lakes AB. We decided to park in Field so that we have our vehicle conveniently on the trail for switching out clothing and food, as well as driving us to Calgary for my sister Trish’s wedding in a month. We pack up our lives into two bursting back-packs and head for the highway. The sky is threatening rain, but luckily only ever releases a sprinkle. I was anxious about hitching today, most likely because it’s been a while and it can be a little humiliating in some ways. No one was stopping, and we were reaching the one hour point. It’s humbling to be completely powerless and entitled to nothing – nobody has to stop. It also gave me a little flashback to hiking on the PCT and feeling a little bit “less than.” I often use the term “hiker trash” in fun and even fondness, but I’ve been reminded that walking with an over-stuffed pack and your thumb stuck out can cause judgemental glares and the old “avoid eye contact” trick. As the rain gets a bit heavier, we hear a friendly honk from behind us, and it turns out someone has pulled over into a parking lot for us! The young couple from the UK wave us over and invite us into their rental RV. We are BEYOND grateful and can’t stop blabberingly saying so. 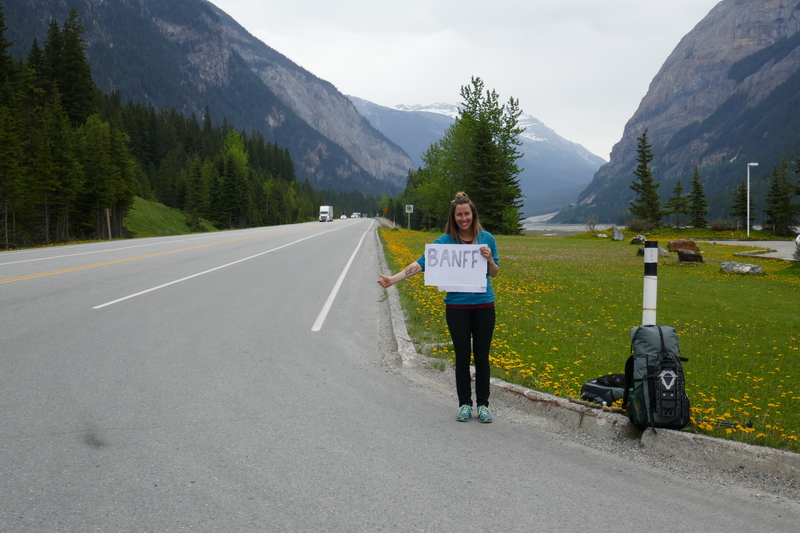 Upon being back in Banff, we work out a few pending details and head for the Greyhound bus station to Calgary. 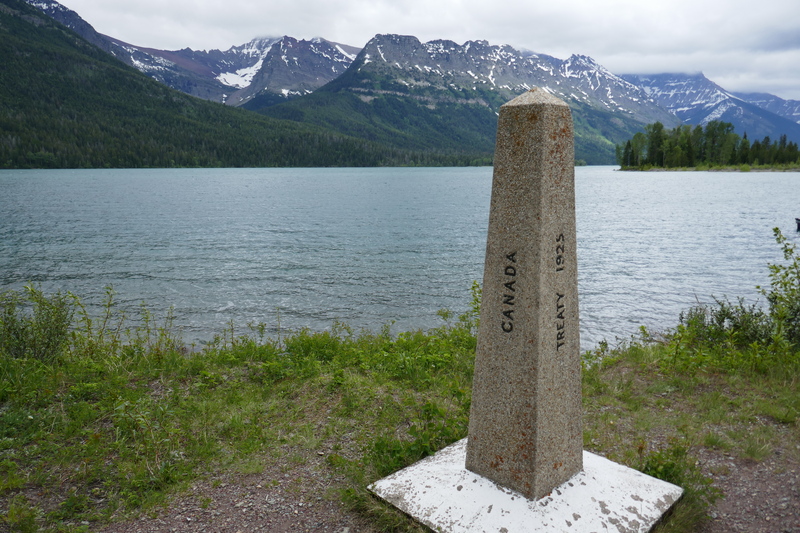 We have a 3 hour layover in Calgary, and catch another bus to Pincher Creek (which is as close to Waterton as we could get). We barely sleep on the bus (I mean, how could we? ), and we arrive at our stop at 3:30 in the morning. Luckily we had a look at google earth before we arrived to scope out a treed area to sleep, as the town is pretty much treeless. We walk 1.5 km to our planned grassy, treed spot and cowboy camp ( which means sans tent), just beginning to fall asleep as the sun sets. We wake up at 9:00 from a rather comfortable sleep in our grassy bed. 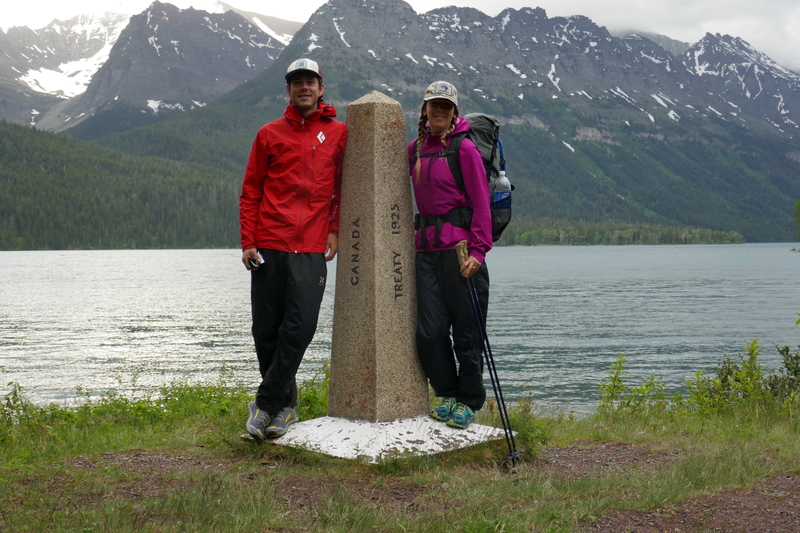 We pack-up and head to the highway for a 55km hitch to the trail. We literally were picked up within MINUTES. What a relief!! His name was James, and he was awesome. He turned our brief ride into a 2 hour tour of the area, pointing out every mountain pass in the area, and showed us the Buffalo reserve. We got a drive around tour of the Shell oil plant that he works at, which was neat for us (being strong environmentalists) to get to know the people of the industry. We especially like James because he works in oil well restoration where he cleans up and re-wilds (as best as he can) the old rig sites. Our “tour guide” graciously offers to take us all the way to our destination, even though his work site was only halfway. What a trail angel! In town we grab a wrap, some poutine (we will be hiking after all) and copious amounts of coffee. Fully caffeinated, we head to the Visitors Centre to book our campsites. The park staff are incredibly friendly and interested in our endeavour. They wish us luck on our yo-yo hike, and send us off. “See you in four months,” one of then exclaims as we leave. I smile the biggest, goofiest, happiest grin. Rabbit trail: Literally days prior to this trip, Dan raced in the Bob Marshal Wilderness Open Challenge, where one basically chooses their own route from point A to B. He won (yay!) but his body was showing(or rather shouting) the effects of walking 100 miles in 58 hours. He was hurting. 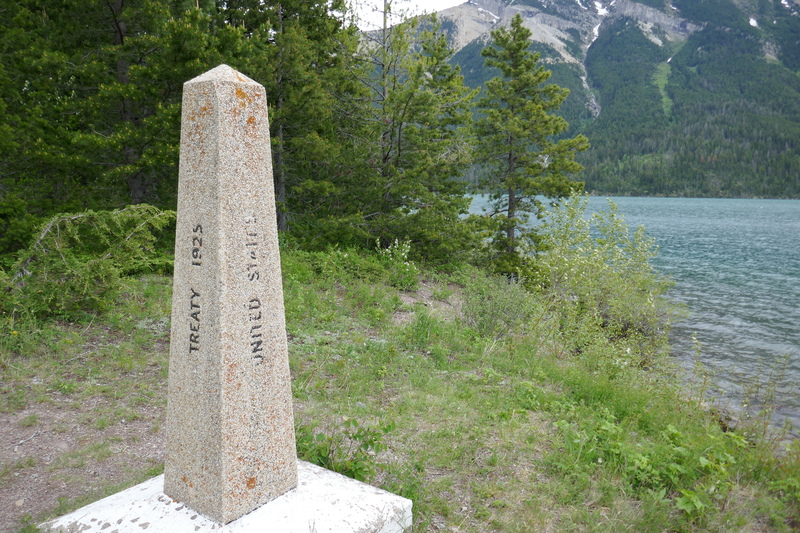 But we had a hike to start, so we decided to only go 6 km today to the official trail beginning at the CAN/US boundary line. Our packs are heavy with 7 days worth of food, but man does it feel great to be hiking! We’re hiking the GDT! We snap monument pictures, and then decide to go for a much needed swim in the lake. 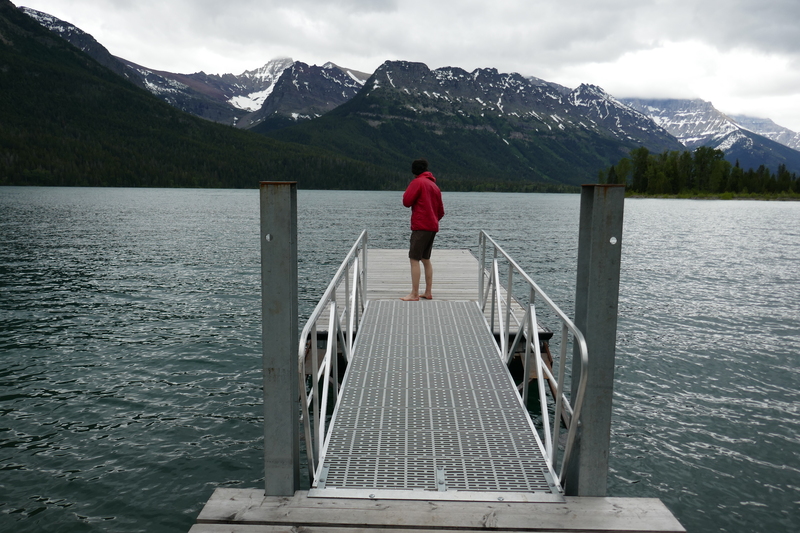 It was arguably the most beautiful lake swim I have ever had…and the coldest! We got hilarious video footage of us both jumping in, and me literally panicking when I couldn’t make it back onto the dock. We wrapped up the pleasurable evening with video interviews at the terminus – our initial thoughts, apprehensions and excitements. Overall, I feel way less anxious and uncertain than I was on our previous thru hike on the PCT. I have an inner confidence that I am ABLE to hike for 4 months and I really WANT it. The looming question isn’t whether I am a thru-hiker (because I already am in a sense) but rather, am I a yo-yo thru-hiker? It’s a new identity uncertainty, but I hope and pray that the answer is yes. Only a mere 4 months to find out! I cannot believe you went in that water! Wow! That’s bravery! And that you slept Cowboy style! I thought that was only something Dan did on the Bob Open! Was it freezing cold? did you put down your mattresses? Did you pull out your sleeping bag? Did you wake up every 20 minutes? Looking forward to reading days 2-8! I very much enjoy your updates and will be eagerly awaiting the next one. I also really appreciate the photos. They help me visualize where you are and what you are seeing.